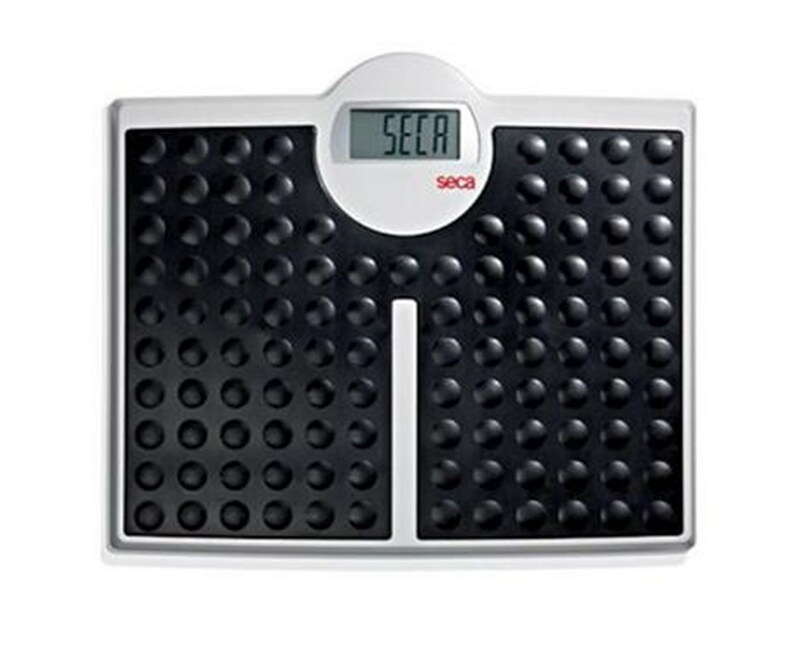 Seca 813 High-Capacity Digital Floor Scale shows excellent performance in home, hospital and even remote settings. 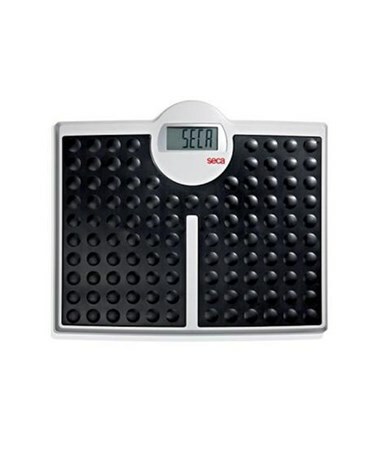 Designed for the convenient weighting of all users including heavyweight ones, the Scale features an extremely sturdy construction, robust design details and extra large display. A number of smart features ensure exceptional ease of operation and flexible user experience. The 813 Digital Scale provides a generous 440 lbs / 200 kg weight capacity with fine graduation of 0.2 lbs / 100 g allowing precise weight progress monitoring for most user groups including heavyweight ones. Such sturdiness is due to a solid steel frame and a really tough rubber mat that has been made of a two-competent material to provide soft touch and an easy-to-clean surface. In addition, this special rubber material stands up to all commercially available cleaning and disinfecting products. Scale platform has been specifically enlarged in comparison to standard models allowing extra use convenience for bigger patients. It measures 17" in width and 14.7" in depth. Low profile, flat unit construction, only 1.9" in height ensures safe and convenient stepping distance for all user groups. Large LCD display with 1.1"-high digital numbers serves for trouble-free measurement readings. The Scale obtains additional value due to a really low weight of only 6.3 lbs / 2.9 kg and on-battery operation which makes unit transportation and remote application really easy. 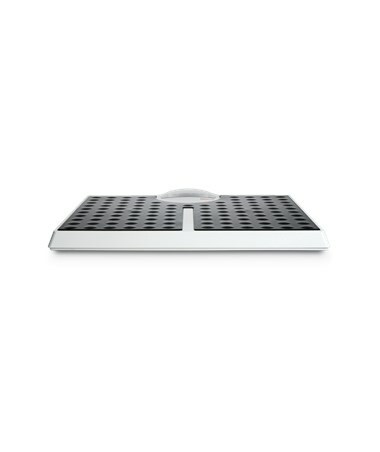 This Scale is literary packed with smart functions that make the technology work for you. Easy weight Units Switch-Over function promotes flexibility. Meanwhile, the Tip-On function ensures superb use convenience. It eliminates the need to bend in order to start the Scale operation. All it takes to turn the unit on is a tip of a foot on a Scale platform. The outstanding Auto-Hold feature really extends the functional versatility of the device. This function is fully automated and allows all the time you need to record the readings. To top up all the functional benefits of the Scale, it comprises an automatic Switch-Off function that ensures a completely care-free user experience. To purchase 813 Floor Scale simply click “Add to Cart” and complete your online order in a few easy steps.